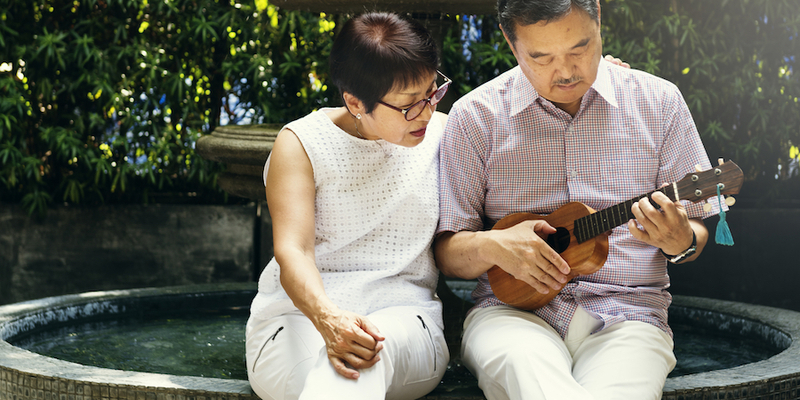 Are you looking for a fun Ukulele Course for seniors? The course is full of much-loved melodies from the 60s/70s! Ukulele is really easy and fun to pick up. We would love to get in touch with you. Contact us here! Customisable length – How long do you need the class to be? Play a song within 1st lesson! We also have ukuleles available for purchase! Want to pick up a new talent? If you are looking for a new hobby or organising a fun activity for you and your family/friends, learning the ukulele would be something rewarding and exciting for many people! The ukulele, or the uke, is a 4 stringed instrument that just about anyone can pick up. In fact, 2 of the chords that you will learn (C and Am) only require holding down one finger to play! It doesn’t get any easier than this. Ukulele is a very charming and portable instrument that will make any gathering a memorable one.